Abstract: Obstructive sleep apnea is a chronic disorder resulting from upper airway collapse during sleep. It is linked to a variety of health and safety risks but can often be effectively treated. This article provides an overview of the disorder, including an evidence-based approach to diagnosis and management. A variety of upper airway surgical procedures can be considered as secondary treatment for OSA when the outcome of treatment with PAP or an OA is inadequate. Upper airway surgery (to correct obstructive anatomy or functional deficiencies that hinder other treatments) and bariatric surgery (to promote weight loss) may also be considered as adjunctive treatments. In addition, other adjunctive therapies, such as medication and supplemental oxygen, may be used in certain circumstances.3 Medication considerations may include eszopiclone and modafinil. Eszopiclone is a nonbenzodiazepine sedative-hypnotic that is commonly used to treat insomnia but can also be effective for short-term sleep disturbance related to initial acclimation to wearing CPAP, thus, improving machine use and treatment adherence.19 Common adverse reactions of this medication may include drowsiness, dizziness, headache, and dry mouth; more serious adverse reactions are abnormal thinking, amnestic behaviors, hallucinations, anxiety, and feelings of aggression or suicide. Modafinil is a wakefulness-producing medication that is indicated to treat residual sleepiness despite compliant CPAP use.3,20 Common adverse reactions of this medication may include headache, dizziness, insomnia, and gastrointestinal upset; more serious adverse reactions are chest pain, palpitations, severe skin rash or mouth sores, hallucinations, aggression, anxiety, or depression. Education is an essential component in the management of patients with OSA and an important role of the NP (see Resources for further information about OSA). Initially, results of objective testing and treatment options should be reviewed with the patient. Discussion of treatment options should take into account disease severity, risk factors, associated medical conditions, and expectations. Once CPAP therapy is initiated, education should be provided on the function, care, and maintenance of home equipment, benefits of therapy, and potential problems. Additional elements of OSA education include pathophysiology, risk factors, natural history, and clinical consequences of OSA.3 Treatment adherence is influenced by patient attitudes and health beliefs.21 It is therefore important to explain both the short- and long-term effects of untreated OSA, including medical comorbidities and higher rates of vehicular accidents. Patients must be educated on the importance of regular follow-up to assess CPAP adherence and address difficulties with machine use. Patient adherence with CPAP use will likely be the most frequent management challenge faced by the NP. Despite the fact that CPAP is the first-line treatment for OSA and has a known efficacy in the treatment of OSA, many patients either discontinue using it or do not use it as recommended.22 Addressing patient discomfort and reasons for not using the prescribed CPAP therapy shortly after setup of a home machine increases the likelihood of future adherence. Most patients determine their adherence with CPAP within the first week of treatment and some even as early as 3 days following the initiation of treatment.16,23 Early clinical intervention to promote long-term use is essential, as greater nightly usage leads to better clinical outcomes.16,23 In addition, education provided through cognitive behavioral therapy, along with supportive interventions that encourage CPAP use, has been shown to be effective in improving CPAP adherence.24,25Involving the patient's social support system in the educational process may also be a helpful strategy to promote CPAP adherence. OSA is a common chronic disorder that results from recurrent collapse of the upper airway during sleep. It is often underrecognized and underdiagnosed, and, left untreated, is associated with a variety of problems, including cardiovascular diseases and motor vehicle accidents. It is important for the NP to understand the risk factors, medical conditions, and symptomatology associated with OSA in addition to following current guidelines for the diagnosis and management of the disorder. Improvements in recognition, diagnosis, and management are necessary to address the substantial morbidity and increased mortality that make OSA a significant public health concern. Sources: McNicholas WT, Bonsigore MR; Management Committee of EU COST ACTION B26. Sleep apnoea as an independent risk factor for cardiovascular disease: current evidence, basic mechanisms and research priorities. Eur Respir J. 2007;29(1):156-178. Engleman HM, Douglas NJ. Sleep. 4: Sleepiness, cognitive function, and quality of life in obstructive sleep apnoea/hypopnoea syndrome. Thorax. 2004;59(7):618-622. Eckert DJ, Malhotra A.Pathophysiology of adult obstructive sleep apnea. Proc Am Thorac Soc. 2008;5(2):144-153. McNicholas WT.Diagnosis of obstructive sleep apnea in adults. Proc Am Thorac Soc. 2008;5(2):154-160. 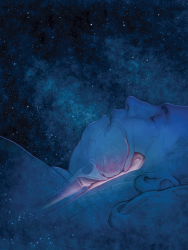 Epstein LJ, Kristo D, Strollo PJ Jr.,, et al.Clinical guideline for the evaluation, management and long-term care of obstructive sleep apnea in adults. J Clin Sleep Med. 2009;5(3):263-276. Strohl K. Overview of obstructive sleep apnea in adults. 2012. http://www.uptodate.com/contents/overview-of-obstructive-sleep-apnea-in-adults. Downey R 3rd. Obstructive Sleep Apnea. 2012. http://emedicine.medscape.com/article/295807-overview. Casale M, Pappacena M, Rinaldi V, Bressi F, Baptista P, Salvinelli F.Obstructive sleep apnea syndrome: from phenotype to genetic basis. Curr Genomics. 2009;10(2):119-126. Engleman HM, Douglas NJ.Sleep 4: Sleepiness, cognitive function, and quality of life in obstructive sleep apnoea/hypopnoea syndrome. Thorax. 2004;59(7):618-622. Hatipoglu U, Rubinstein I.Inflammation and obstructive sleep apnea syndrome pathogenesis: a working hypothesis. Respiration. 2003;70(6):665-671. McNicholas WT, Bonsigore MR;Management Committee of EU Cost Action B26. Sleep apnoea as an independent risk factor for cardiovascular disease: current evidence, basic mechanisms and research priorities. Eur Respir J. 2007;29(1):156-178. Coughlin SR, Mawdsley L, Mugarza JA, Calverley PM, Wilding JP.Obstructive sleep apnoea is independently associated with an increased prevalence of metabolic syndrome. Eur Heart J. 2004;25(9):735-741. Basner RC.Continuous positive airway pressure for obstructive sleep apnea. N Engl J Med. 2007;356(17):1751-1758. Johns MW.A new method for measuring daytime sleepiness: the Epworth sleepiness scale. Sleep. 1991;14(6):540-545. Rosenberg R, Doghramji P.Optimal treatment of obstructive sleep apnea and excessive sleepiness. Adv Ther. 2009;26(3):295-312. Gay P, Weaver T, Loube D, Iber C;Positive Airway Pressure Task Force; Standards of Practice Committee; American Academy of Sleep Medicine. Evaluation of positive airway pressure treatment for sleep related breathing disorders in adults. Sleep. 2006;29(3):381-401. Sawyer A, Weaver TE.Sleep related breathing disorders. In: Redeker N, McEnany GP, eds. Sleep Disorders and Sleep Promotion in Nursing Practice. New York, NY: ; 2011:95-120. Budhiraja R, Parthasarathy S, Drake CL, et al.Early CPAP use identifies subsequent adherence to CPAP therapy. Sleep. 2007;30(3):320-324. Aloia MS, Knoepke CE, Lee-Chiong T.The new local coverage determination criteria for adherence to positive airway pressure treatment: testing the limits. Chest. 2010;138(4):875-879. Lettieri CJ, Paolino N, Eliasson AH, Shah AA, Holley AB.Comparison of adjustable and fixed oral appliances for the treatment of obstructive sleep apnea. J Clin Sleep Med. 2011;7(5):439-445. Lettieri CJ, Shah AA, Holley AB, Kelly WF, Chang AS, Roop SA;CPAP Promotion and Prognosis-The Army Sleep Apnea Program Trial. Effects of a short course of eszopiclone on continuous positive airway pressure adherence: a randomized trial. Ann Intern Med. 2009;151(10):696-702. Morgenthaler TI, Kapen S, Lee-Chiong T, et al.Practice parameters for the medical therapy of obstructive sleep apnea. Sleep. 2006;29(8):1031-1035. Catcheside PG.Predictors of continuous positive airway pressure adherence. F1000 Med Rep. 2010;2. Aloia MS, Arnedt JT, Stanchina M, Millman RP.How early in treatment is PAP adherence established? Revisiting night-to-night variability. Behav Sleep Med. 2007;5(3):229-240. Weaver TE, Maislin G, Dinges DF, et al.Relationship between hours of CPAP use and achieving normal levels of sleepiness and daily functioning. Sleep. 2007;30(6):711-719. Richards D, Bartlett DJ, Wong K, Malouff J, Grunstein RR.Increased adherence to CPAP with a group cognitive behavioral treatment intervention: a randomized trial. Sleep. 2007;30(5):635-640. Smith I, Nadig V, Lasserson TJ.Educational, supportive and behavioural interventions to improve usage of continuous positive airway pressure machines for adults with obstructive sleep apnoea. Cochrane Database Syst Rev. 2009(2):CD007736.